When I moved to college, I had high expectations of what rooming with someone would be like. I thought my roommate and I would live in harmony and peace. We would take care of our new home, laugh, and enter this new experience hand in hand. We would become the best of friends. I had “met” my roommate online; we will call her Tyler. We talked briefly, but my thoughts were way off course compared to the reality of living with someone new. I will spare you the drama; it was a horrible experience. We got on each other’s nerves, we fought, and we were incredibly cold and distant from each other. But, it wasn’t because of who we were as individuals, it boiled down to three key gaps in our first conversation. I applied what I learned from that experience to my relationship with my second roommate, whom I will call Ashley. These three keys will serve you well as you start this new relationship and chapter of your life. Looking back, everything went off course because we did not prioritize communication. Take time right off the bat, after all the boxes are unpacked, to sit down and talk about both your expectations when it comes to house responsibilities, rules, and respect. I entered my first roommate experience thinking she would automatically have respect for my stuff and our shared space. But, she didn’t, which resulted in a small miscommunication becoming a big conflict. It makes a big difference when you make the time to listen to your roommate’s expectations. You will learn how to serve her best, and what her pet peeves are. My second roommate had a huge pet peeve about dirty floors. She was a Swiffer queen. I knew that if I took the time to sweep up the floors for her, her love tank would fill up. If we had not discussed our expectations, I would not have known how to care for her well. The roommate relationship is unique. Make time to know your roommate, to be a friend to her, even if she does not become your best friend. Tyler and I did not prioritize our relationship. She entered college already having friends on campus, and I had made friends in orientation. We had gotten off on the wrong foot so quickly that every time we did spend together, we either fought or sat in awkward silence, because of distrust. If we had taken the time to get to know each other, maybe our relationship would have grown into a friendship. I entered my second roommate situation knowing that I wanted a relationship with Ashley. I let go of my expectation of being best friends and settled for taking it one day at a time. We ended up setting aside weekly time for roommate bonding. We would watch movies, get ice cream, go to dinner, or stay in and chat the night away. Those moments allowed our relationship to grow beyond two people sharing a home; we ended up becoming great friends. These three keys will serve you well as you start this new roommate relationship. I wish I had spoken up when it came to my relationship with Tyler, instead of letting the unspoken tensions come between us. I regret that we did not discuss our expectations when it came to our space. I wish we had taken the time to get to know each other. If you are experiencing conflict, ask your roommate for an hour to talk. Lay out how you are feeling, and let the conversation flow from there; I bet she is feeling the strain too. Give her the space to be heard and listen to her. It is in those moments that your relationship has the opportunity to grow stronger because you are learning how to listen and love each other well. These are three conversations that are always worth having with your roommate. All of these conversations, the initial discussion about expectations, getting to know each other, and conflict resolution are keys to working towards a healthy relationship. 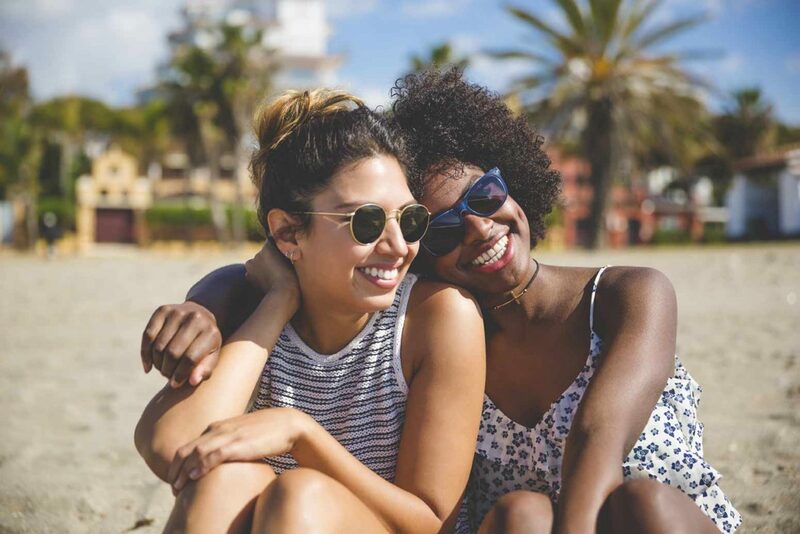 These conversations will not always result in your having a great experience or a relationship free of issues, but they will help you start living openly and honestly in a roommate situation. There is nothing better than knowing you are doing your best to live in peace and respect with someone else. At the end of the day, you cannot change a person, but you can love them well—something you’ll never regret. For more “adulting” tips, listen to this recent podcast episode from This Grit and Grace Life: Miss Independent: Can You Be Healthy, Strong and Dependent? – 047! You’ll also like 5 Topics For New Roommates to Discuss, Why You Should Just Have That Hard Conversation (And How to Do It), Coffee & Conversation: How to Connect With a Friend, 5 Tips for Mending Fences in Your Relationships, Take It Easy—On Your Friends, and 9 Qualities That Make a Good Friend.